TLT, the Bristol-headquartered law firm, has re-elected Andrew Glynn as senior partner for a second three-year term. The election was uncontested. 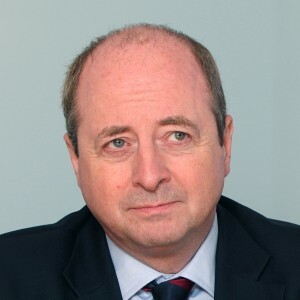 In his role as senior partner Andrew, pictured, sits on the firm’s governance & oversight board and chairs both its remuneration and promotions committees. He also leads the firm’s CSR (corporate social responsibility) programme – a key focus over the last three years with the introduction of a new team and more structured approach to improving firm performance in areas such as diversity, inclusivity and the environment. Andrew, whose new appointment started on January 1, said: “I’m looking forward to continuing to play a part in the future growth and transformation of the firm. Managing partner David Pester said Andrew’s continued role as senior partner ensured stability at a time of change in the sector and challenges in the broader economy. “His focus on driving forward our CSR strategy and approach will be a core part of building a sustainable business for our people and our clients over the long-term,” he said. Andrew will continue in his role as co-head of the firm’s public sector team and as an active partner in its real estate group. Andrew has been senior partner since January 1, 2016. He trained at TLT legacy firm Lawrence & Co in Bristol, qualifying in 1985. After a seven-year stint in the City with Rowe and Maw (now Mayer Brown), he returned to TLT, becoming a partner in 1994 and head of real estate in 1999. TLT, which has more than 100 partners and employs around 1,000 people, reported a 10% rise in turnover to £82m in its 2017/18 financial year. As well as its Bristol headquarters, it has offices London, Manchester, Glasgow, Edinburgh and Belfast, along with a specialist ship finance team in Piraeus, Greece. As part of its continued sector-focused growth strategy, it has attracted 11 new partner hires in the current financial year, bringing in additional expertise to its clean energy, digital, financial services and real estate sectors.